“Together Again” On April 14, 2016 we lost your sister Alma to a sudden perforated bowel. Then on February 8, 2017 you died just 3 days after getting sick. You had cancer in your lung and most likely your liver. You got sick and collapsed suddenly. We took you to the ER and you stayed in oxygen over night. We were able to bring you home the next day and you had a good day and ate well. Then your breathing got much more difficult and we took you to our vet. Further tests showed the cancer and we went right down after the results came back and held you for the last time as you peacefully went to the Rainbow Bridge. You and Alma came to us in January of 2015. Your human mom went to personal care and you needed a home together. We gladly adopted both of you. You were our first Shih Tzu dogs and we loved you dearly. It gave us a great love and understanding of the kind breed that you were. Coming here together made it much easier for you both. You had each other and brothers and sisters here which you loved form the start. As the days went by we could tell you loved it here. You were always friendly and trusting. For Alma it took a little longer as she was more nervous. In a short time Alma bonded with John and then with me. You were only here a little more than a year when we suddenly lost Alma within hours of getting sick. You adjusted better than we thought you would but I could tell you looked at times for her. As you gently left us that winter day we both held you and said Alma was waiting for you and you went peacefully. Such a very short time to love both of you and yet a wonderful experience for all of us to have you both as part of our family. I know you are both up there together once again. Fly with the angels Addy and with your sister. You were two of the most kind and gentle dogs we have ever had. The pain of losing both of you suddenly was just horrible but the joy of loving you was even greater. 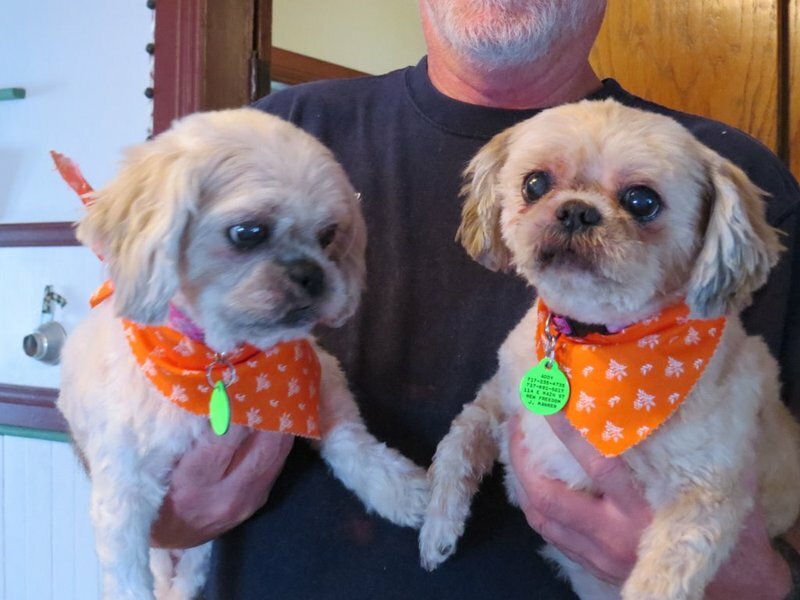 We would not have missed adopting our “Shih Tzu sisters” for anything in the world! It was a short but a great time for all of us. We will miss you forever and hope that you know how much we appreciated having you join our family if only for a short time. Once again you are together and will never be separated again. Thanks Addy for the joy of having you in our lives. Addy you are forever with us in our hearts. We will always love you.